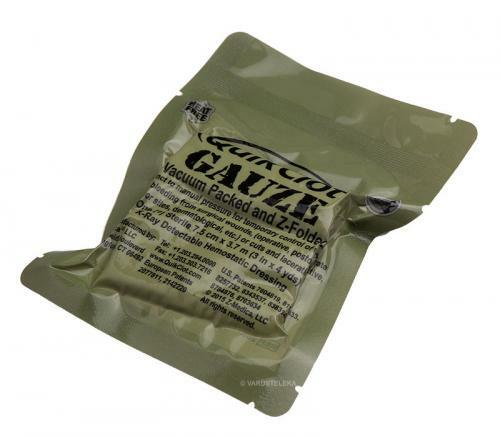 Hemostatic gauze is an excellent addition to any first aid kit. 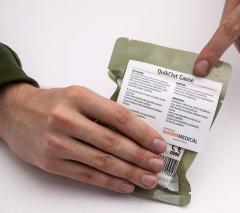 QuikClot quickly forms a natural blood clot which helps manage and stop bleeding in wounds which are otherwise hard to bandage. This impregnated gauze is also easier to use than the old granules which have a tendency to fly all around the place. The 7,5 x 365 cm gauze is Z-folded for really quick access, much easier and faster to open up than a common roll.